The above (and below) is an illustration of what can happen when your fridge is full and yet lacking inspiration, when you drag yourself to your computer and unenthusiastically type in “kale” because you have a sad bunch in your fridge and you think you should. And you’re just not that into said kale, even though you should be. I came across this, and it turned into this. 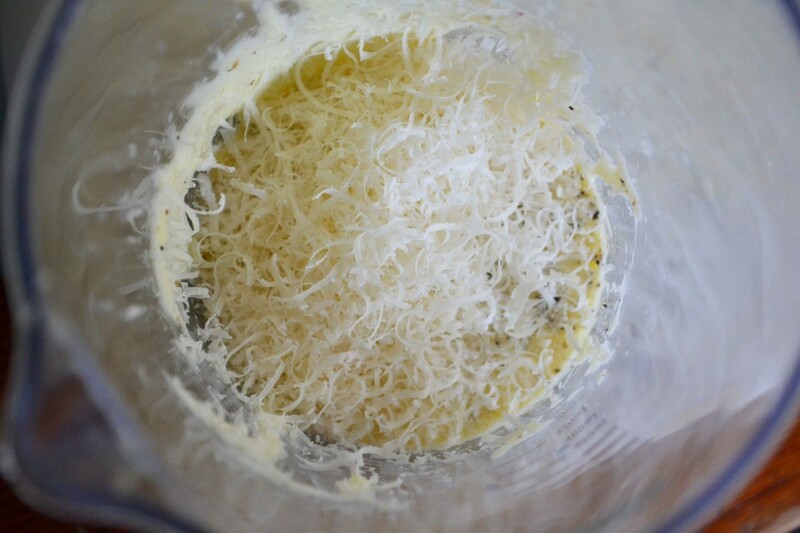 I made a batch of mayo (easy to do with a hand-held immersion blender – I’ll show you sometime) then added an enormous clove of sticky garlic, lots of pepper, an extra squeeze of lemon juice and lots of freshly grated Parmesan, and blitzed it again. As I tossed it with the kale it occurred to me that bacon would do well here. 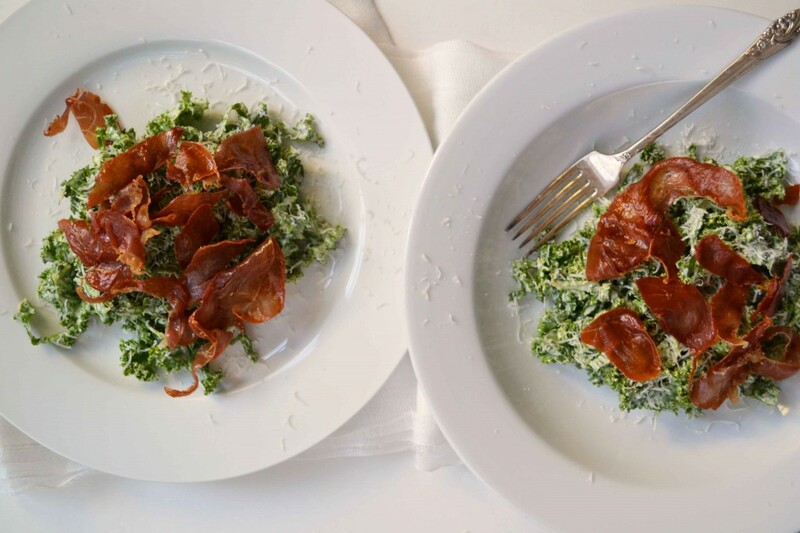 Even better – prosciutto: when you cook it up it turns crisp and salty without being greasy and chewy, like bacon can be (not that there’s anything wrong with that… except when there is) and because it’s so thinly sliced and lean it takes minutes to crisp up in a hot pan with the merest slick of oil. It would have been fab as-is. 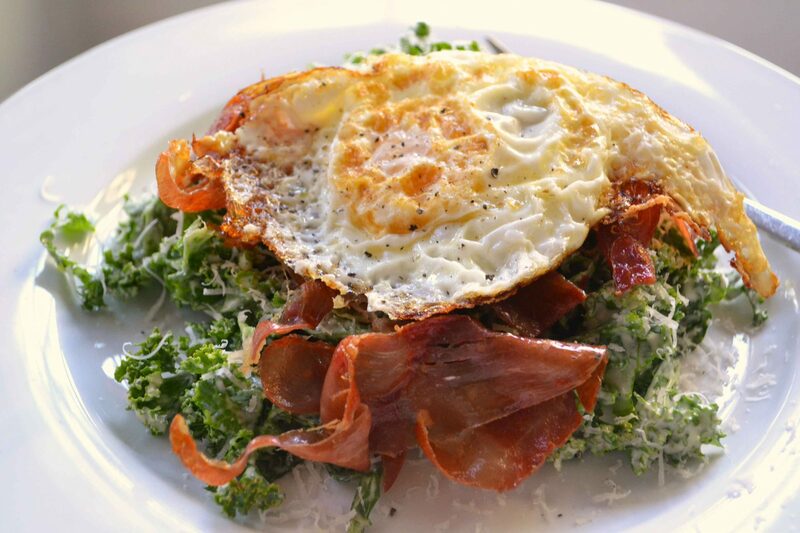 But I couldn’t help but fry up an egg in the pan I used for the prosciutto, and set it on top. Um…yummy! Adding the egg is brilliant. 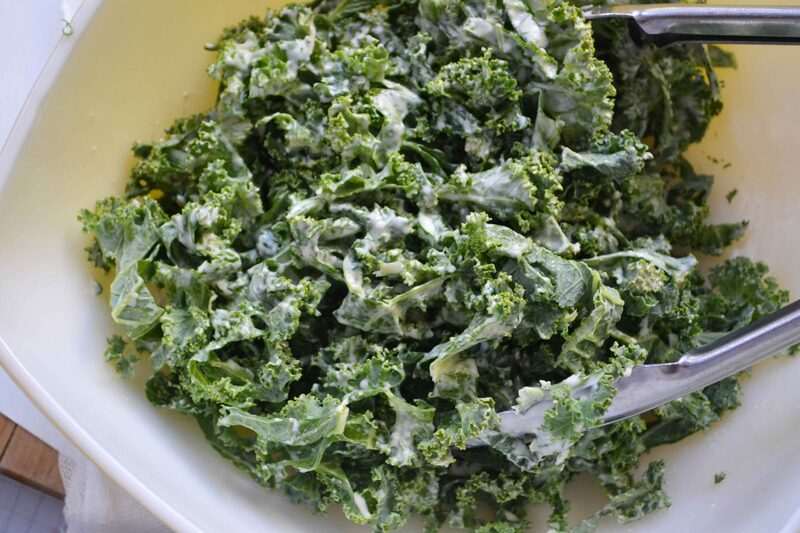 I recently adapted that same recipe into a salad that had half romaine and half kale and loved it! The egg on top would be great! Wonderful dish! Bacon and eggs for dinner. Oh my goodness! I gotta get me some of that “sad kale”! That looks and sounds divine! This could make me not a vegetarian anymore! 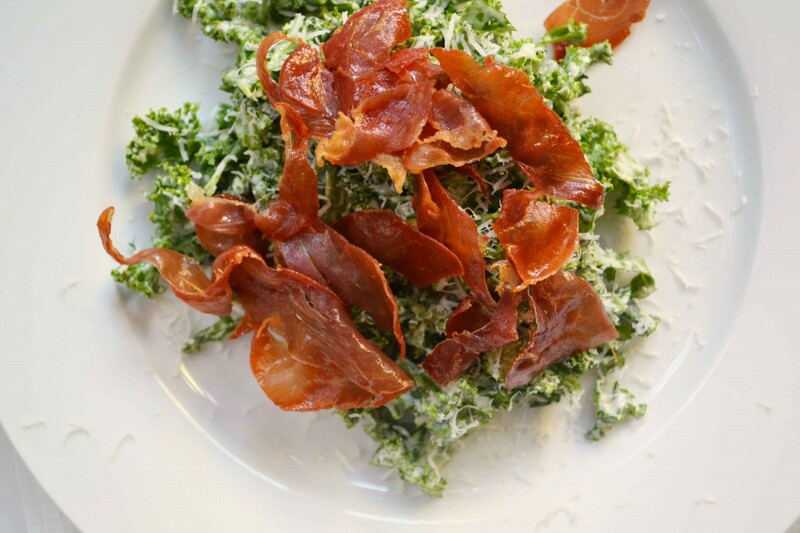 I can’t imagine it without the crispy prosciutto. anyone who can turn kale into bliss and cookies into lollipops deserves an award. or two. or a dozen. I want to like kale. I really do. Covered in mayo and topped with bacon and eggs might be what it takes.